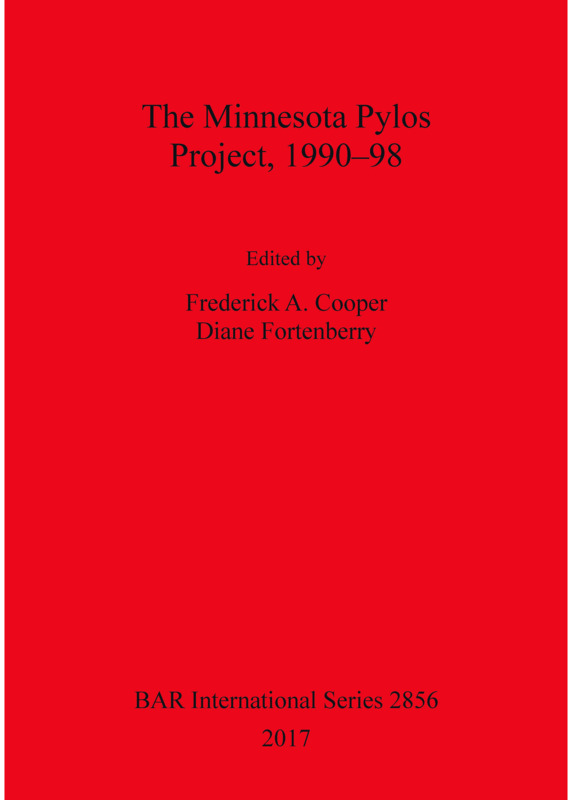 In 1990 the University of Minnesota carried out an architectural survey of the standing remains of the Bronze Age Palace of Nestor, discovered by Carl Blegen in 1939 and excavated from 1952 to 1966. While the first stone-by-stone state plan of the building was being created, it became clear that some of the architectural assumptions about the structure and its history could not be correct. Over the next eight years the Blegen-period backfill covering the site was systematically removed so that a complete architectural plan could be prepared. The work was carried out using the protocols of an archaeological excavation. Although only backfill was removed, numerous unexpected finds were recovered, ranging from discarded Linear B tablets and wall painting fragments to roof tiles and pottery; in addition, a detailed study of the architecture revealed evidence for startling new conclusions about the structure of the palace and the history of the site. Frederick A. Cooper (1936-2011) was Morse Alumni Distinguished Professor of Art History at the University of Minnesota (1971-2010) and Andrew F. Mellon Professor of Classical Studies at the American School of Classical Studies at Athens (1982-85). He directed the Minnesota Archaeological Researches in the Western Peloponnese (MARWP) programme. Diane Fortenberry is Senior Editor at Phaidon Press Ltd. She received her PhD in Bronze Age Aegean Archaeology from the University of Cincinnati and acted at various times as Assistant Director for MARWP projects.